Ro Khanna: “The resilience that I have is not just because I was born in Philadelphia and grew up watching Rocky movies. 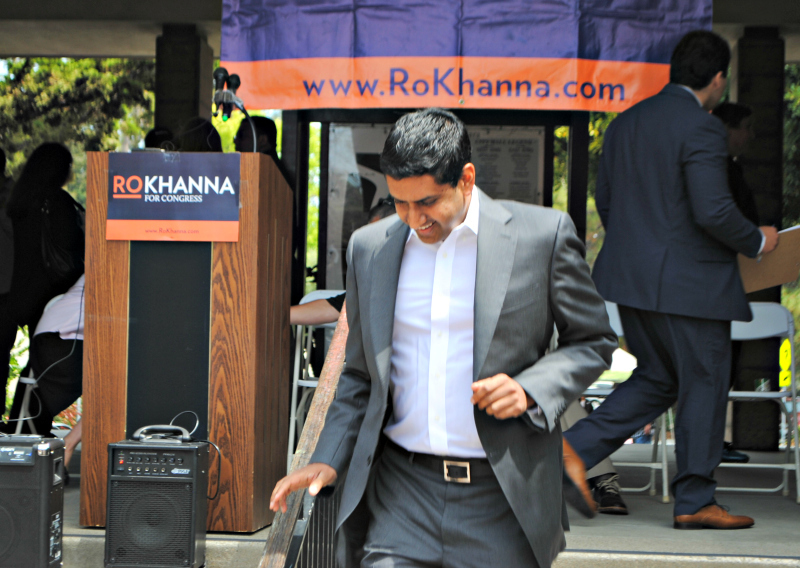 It’s because this stuff matters.” Khanna announced another run for Congress in CA17 Saturday. ran as 27-year-old against former Rep. Tom Lantos. CONGRESS | 17TH DISTRICT | Nearly six months after his bid to unseat Rep. Mike Honda fell short, Ro Khanna announced Saturday afternoon he is revving up his campaign for a second shot at his fellow Democrat in 2016. 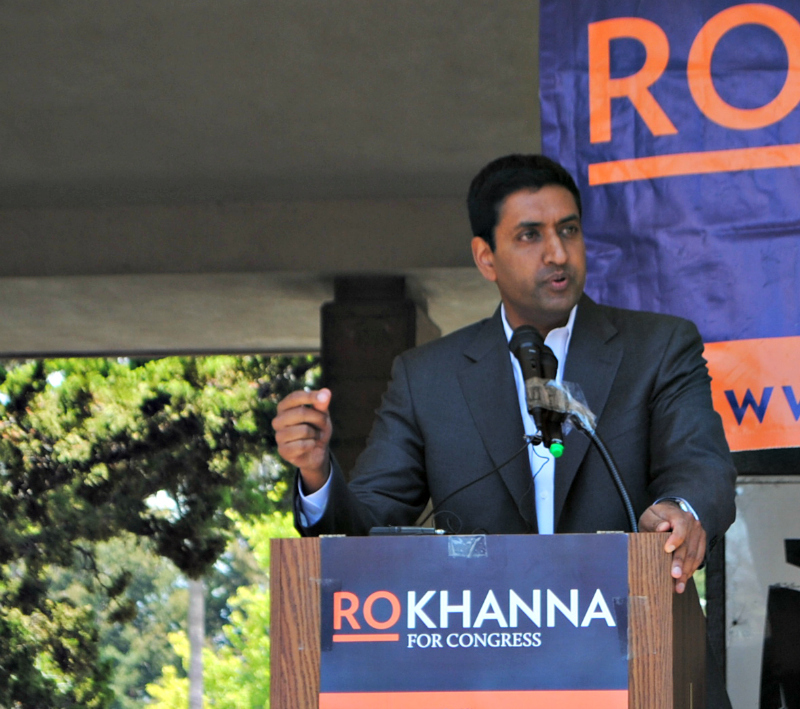 With a theme of resilience, Khanna and several speakers, highlighted issues leftover from his 2014 campaign, including the environment, strengthening computer education in the classroom, in addition, to a sharper focus on local grassroots issues in the Silicon Valley-centric district. Khanna also returned to the theme of protecting the American Dream for immigrants like his parents who moved from India to Philadelphia in the 1960s. The faces of many of his diverse supporters who attended the weekend announcement reflect what America will look like over the next few decades, said Khanna. A vast majority of school children he’s visited on the campaign trail, he said, tell him they too have parents who are immigrants. “That was my story [growing up],” he added. Similar to last year’s race, Khanna used the announcement to focus on successes he believes the campaign achieved for engaging the youth vote often dispirited by politics along with a rebuttal for some fellow Democrats who continue to label him as overly-ambitious. This will be Khanna’s third campaign for Congress. In addition to his 2014 race in the Seventeenth Congressional District against Honda, which Khanna lost last November by less than four percent, he ran a somewhat symbolic long-shot bid in 2004 as a 27-year-old to unseat Democratic stalwart Tom Lantos in San Mateo. Ritu Ahuja, Khanna’s fiancée, compared their on-and-off relationship over the past eight years to his political career and chances for winning next year. “Our courtship can be summed up as a first attempt that barely counted,” she told supporters. “A second attempt that came quite close and third attempt that recently landed Ro on one knee, finally getting the response he wanted…I guess, the third time is a charm and Ro never gives up on what truly matters to him.” Their wedding is set for August. Posted in 2016 Election, CA17, congress, Indian American, Mike Honda, Philadelphia, Ritu Ahuja, Ro Khanna, Rocky, Silicon Valley. Bookmark the permalink. “There is a sense that special interests and money has taken over.” LOL this is the guy who saddled up with big pocketed self interested Silicon Valley elites and spent record breaking millions on his previous race. How does he say that with a straight face? I will not give up. I have money. I want power. Massive egos never die…they go into politics.